You might have thought this was big news, a report by the chairman of the Senate Homeland Security and Governmental Affairs Committee, one that President Donald Trump soon declared included “bombshell” revelations. But it quickly got dismissed by the media — led by the conservative-leaning Wall Street Journal — as a transparent attempt to defend the president by making up a story about President Barack Obama supposedly tracking the investigation of Hillary Clinton’s emails. That column, and other coverage, suggested Johnson’s stock is sinking fast with the media. It didn’t have to be that way. Johnson is articulate, telegenic and as a former CEO had some built-in credibility with the media as a spokesperson for the business sector’s view of the issues. Johnson, moreover, had proven himself a bit more skeptical of Trump than many Republicans: yes, he has voted with him on the issues 92 percent of the time, but that’s still lower than the score for 32 other senators, all Republican. Finally, Johnson was the head of an important committee, which gave him a platform to be a patriotic truth teller on the issue of the Russian investigation. But Johnson appears to have been influenced by a cabal of Republicans who’ve decided to rescue Trump from the independent prosecutor’s investigation of the president by maligning the FBI, if not the entire U.S. intelligence system. And so, late last month the senator made the accusation there was “corruption” among “higher-ups” in the FBI without a shred of credible evidence, and was left looking silly. Even conservative commentators trashed Johnson for his “clown show” and his “manufactured outrage, absurd dot-connecting, and near-hysteria,” as I reported. Just two days after making his damning accusation, Johnson admitted it was “entirely possible” the reference to a “secret society” made by FBI lawyer Lisa Page to senior FBI agent Peter Strzok was simply a joke. The two employees — of 35,000 who work at the FBI — were engaged in an extra-marital affair and had made many cryptic remarks that Johnson now seems to admit he could have taken out of context — while using it to damn an entire federal agency. But after digging himself into this hole, Johnson decided to dig even deeper and try one more time to make something of this issue. The report he issued is labeled “interim,” which tells us it’s not completed, and a “majority staff report,” signaling its anything but bipartisan. And the press release noted it was a report “Including Strzok-Page FBI Text Messages,” meaning he was going to re-flog this same material. In short, the report from the beginning looked like an exercise in face-saving by a politician who had been embarrassed. It includes little that’s new and mostly offers a few more Strozok-Page tidbits packaged with a retelling of past news stories on Clinton’s emails, as though these two agents were at the center of everything the 35,000-employee agency was doing. The most explosive claim, that Page and Strozek said President Obama wanted to know “everything about the investigation” and that this was a reference to the probe of Hillary Clinton’s email server, was soon dismissed by the Wall Street Journal. The newspaper reported that “[A]ssociates of Mr. Strzok and Ms. Page said that exchange referred to the president’s wanting information on Russia election meddling, which the FBI was heavily involved in over that period.” Obama wanted to know because it was just before he was to meet with Russian President Vladimir Putin, a meeting at which Obama addressed the issue of tampering with the U.S. election process. And “In August and September 2016,” when Strozek and Page were making this comment, “the FBI was no longer actively investigating the Clinton matter,” the WSJ reported. Yes, these are liberals dumping on Johnson, but tellingly, no one in the conservative press rushed to defend him. Almost as soon as Johnson’s report was issued, the entire media moved on to other more substantive matters. But the idea that the entire press had missed the nuances or context of Johnson report contradicts the heated tone of this threadbare document suggesting the (1) FBI could be operating based on “personal animus and/or political bias” and (2) the Obama administration “influenced the FBI’s investigation.” In short, this was a U.S. Senator in charge of a key national security committee claiming both the FBI and a two-term president could be guilty of lawlessness based on a few cryptic text messages. This is such reckless demagoguery it left Johnson vulnerable to scorching attacks. But most of the press didn’t bother, because Johnson’s repeated silliness has left him with no credibility. Precise, exacting, meticulous, scrupulous, punctilious exposition. We’ve already moved on. No one is really talking about this anymore. It’s Porter and the budget. Today at least. Tomorrow that will change. And RoJo has four years left on his term. So there’s not much downside for him. 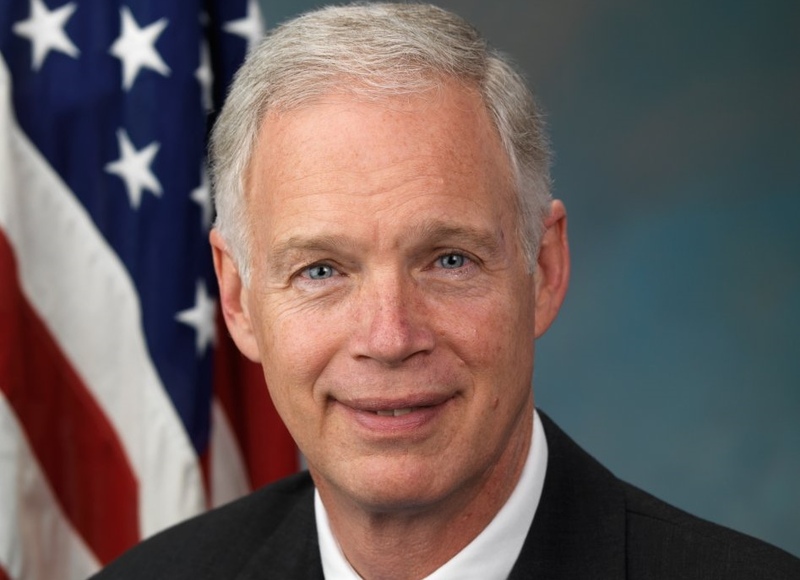 Ron Johnson has shown a willingness to lie for and defend a sexual predator (who brags about his behavior), serial liar, racist, and pawn of the Putin government. The defenders of our disgusting president will not win the long game. Ron Johnson has no credibility nor a moral compass. No. Now he is now just another ebabler and appeaser of Trump’s crypto-fascism and authoritarianism. Ron Johnson is a charlatan of the highest order. I’m still waiting for him to release information about the infamous “informant.” I found a picture of RoJo wearing a tin-foil hat and I’m putting it on a postcard to send to him. He’s an idiot that should not have won re-election. Hardly. My golden retriever has a better grasp of the English language than Old Sunspots. He was smart enough to marry money, but not smart enough to know when to shut up. “former ceo” Give me a break. Even someone reading the pr-managed wikipedia page can figure that one out. An alarming aspect of this reporting is the evidence in it that Rojo and other Trump toadies will enthusiastically embrace bullshoes stories that support the bullshoes remarks that the con-man in chief spews forth.